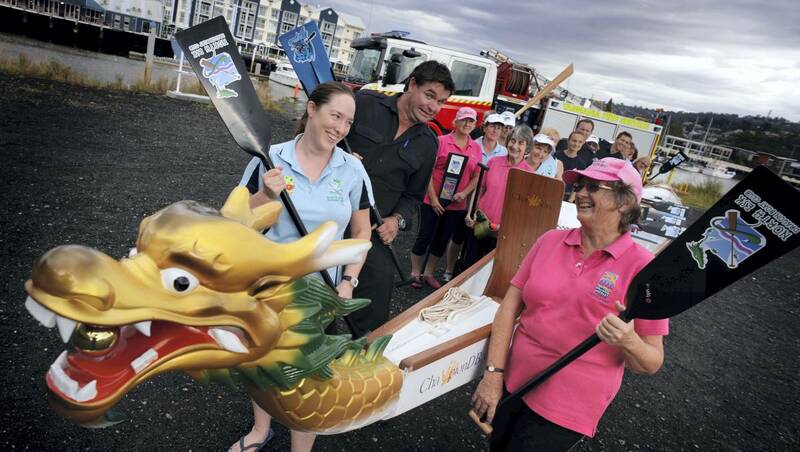 North Esk’s Kelly Broomhall, Launceston Fire Brigade’s Jeremy Paterson and Dragons Abreast North Tasmania’s Beth Sowter gear up for the dragon boat event. Dragon boats will crowd the Tamar River for the inaugural Tasmanian Dragon Boat Festival later this month. The North Esk Dragon Boat Club will host the festival on Saturday, March 22, which will feature clubs from across the state – competing in club and corporate races. Festival organiser Kelly Broomhall said the Taiko drummers, a Chinese lion dance and Bhutanese dancers would provide pre-race entertainment. “Entry is free for the public on the Seaport boardwalk,” she said. She said accredited sweeps would steer corporate boats and each boat would consist of 10-plus paddlers and a drummer so they can keep time. “It will be a fun day and we definitely also see it as a chance to show off our sport and recruit more paddlers to our club,” she said. WHAT: Tasmanian Dragon Boat Festival. WHEN: Saturday, March 22, from 3pm to 6pm.